Checking for and avoiding excessive moisture in every subfloor must be done. Look around for visible water stains on the drywall and subfloor, particularly on the concrete. 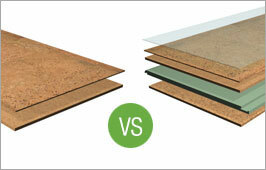 APC Adhesive requires the use of moisture tests on all concrete and wood subfloors. Subfloor moisture percentages should not exceed the flooring manufacturer’s or APC Adhesive recommendations, whichever is lowest. If excessive moisture is present, use an appropriate vapor barrier. The Calcium Chloride Test measures moisture emission in concrete. 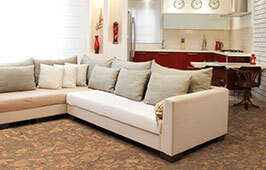 The maximum level when installing cork flooring is 4 pounds per 1,000 square feet over 24 hours. APC recommends using a Concrete Moisture Encounter meter for r eliable concrete testing. The meter should be pressed firmly to the subfloor for an accurate reading. Maximum reading for cork installations over concrete should not exceed 4 1/2 on the meter. Moisture in wood subfloors should be measured with a wood moisture meter. The moisture content should not exceed 14%. Subfloors should be within 5% of the wood flooring’s moisture content. 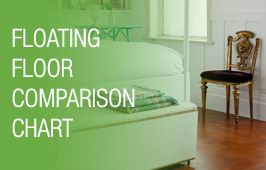 Read flooring manufacturer’s moisture standards. A moisture meter can also be used to measure in concrete. Follow the instructions carefully. Moisture meters measure wood and concrete differently. The Accelerated Plastic Film Test is a good indicator test for concrete moisture. Tape 2′ x 2′ poly film squares with duct tape to concrete subfloor in several areas throughout the floor. Position a light close enough to warm the surface of the plastic film (approximately 18″). Lift the squares after 24-72 hours. If moisture condensation is present on the film or if the concrete has darkened, this indicates moisture is present.